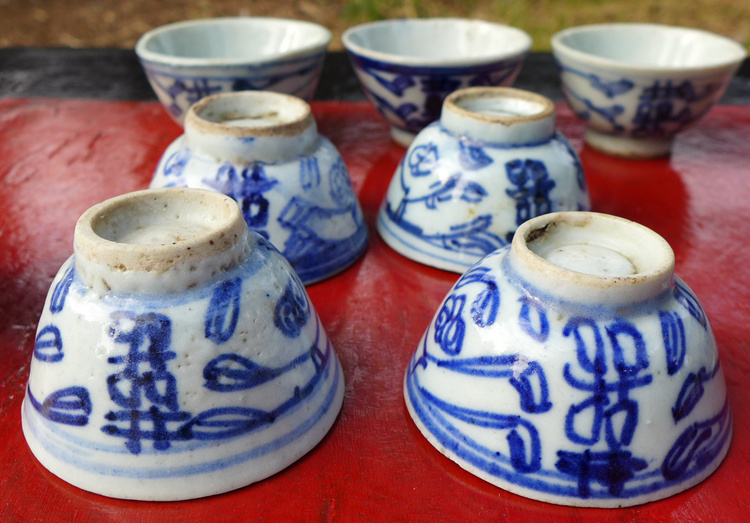 This cup from the late Qing period is in fine condition. Hand made and hand painted blue and white porcelain tea cup with "Double Happiness" character. Very cute old style painting!